There is nothing like handing a loved one a beautiful hardcover scrapbook and watching them immerse themselves in the pictures, details, and enjoy remembering their great family memories. 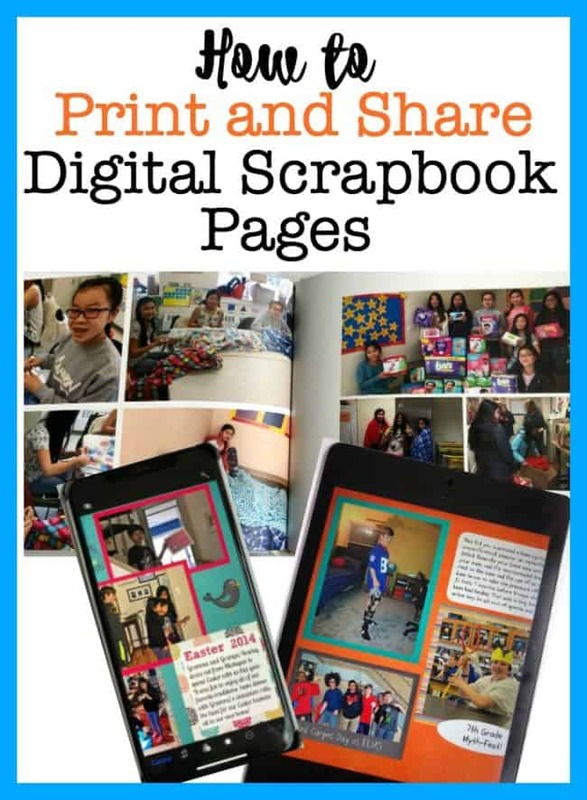 But now that I am into digital scrapbooking– it is super easy for me to load the images onto their phones or tablets so they can look at their scrapbooks any time! 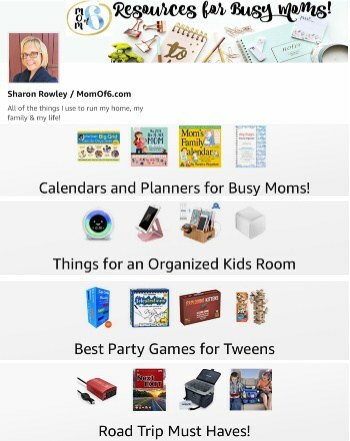 Here's how to print digital scrapbook pages and also how to share your digital scrapbooks on phones and tablets! *Please note that some of the links in this post are affiliate links, which means I will make a small commission if you purchase through these links. I always order a hard-copy version of every digital scrapbook that I create. I keep them all on the bookshelves in our family room, arranged separately for each child, so they can easily go to their shelf that holds their treasured memories and select one of their books. I like to create scrapbooks that span a year's time- and so I will typically order scrapbooks once per year from my favorite photo printing site: Shutterfly. It is important to know that Shutterfly offers sales on their photo books all of the time- so never buy one at regular price! Wait until they are 40-50% off! To create your scrapbook in Shutterfly, upload each digital scrapbook page as an image (like you would do for any other photo) and add them to a new album. Then head to the Shutterfly store, and go into the section where you can order an album. Select a “Custom Path” album, then select a Hard Cover album in the 12 x12 size. Next, select “Everyday” as the album type and then select the “Simply White album.” This will allow you to start with blank white pages for your album. The next step will be to bring into the album all of the scrapbook pages you created (which you can do by selecting the album you uploaded them to, and then Select All). You’ll need to choose an image for your album cover (I suggest a single image, not a scrapbook page) and then create a title for your book. You then add each scrapbook page you created to a page of the album. 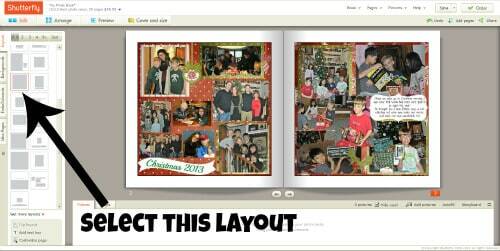 You can adjust how the scrapbook page looks in your album by the type of layout in the left-hand column. Select this one to create a white border on each page. Or select this layout to create border-less pages. (My personal preference!) Be sure to review your album carefully page by page before ordering your hard copy! When I first started scrapbooking 12 years ago, I did everything on paper, as did most scrapbookers at the time. But then I also scanned in each scrapbook page so that I would have a “saved copy” on a disc, in case (God forbid) the house ever burned down and I lost all of my books. Later on, after my family started to own iPhones and iPads and iMac devices, I took out all of those saved images from those discs and imported them into iPhoto so that we can look at the scrapbooks on our devices anytime we want. 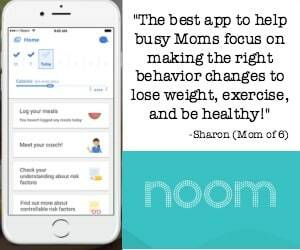 Now we download each child’s scrapbooks to their phone and/or tablet, and I have to tell you- my kids now look at their scrapbooks all of the time! The process is really pretty simple on an Apple device. 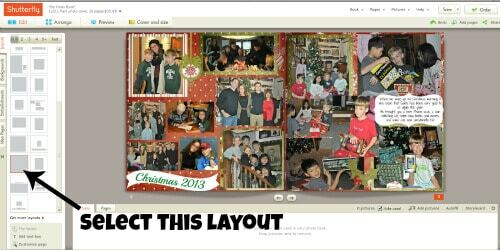 Import your scrapbook pages as images into iPhoto (File, Import to Library). Select the Event and create an Album for each scrapbook. You can then sync that album to your other devices! Below you will find all of the links to my 6-part series on How to Create Digital Scrapbooks for (Nearly) Free! To make it simple for you to create free digital scrapbook pages, I created a one-page “quick-tips” sheet that shows all of the steps involved in creating digital scrapbook pages. Simple sign up below to join the MomO6 community and you'll be directed to a thank you page with access instructions! Subscribe to the MomOf6 Newsletter! 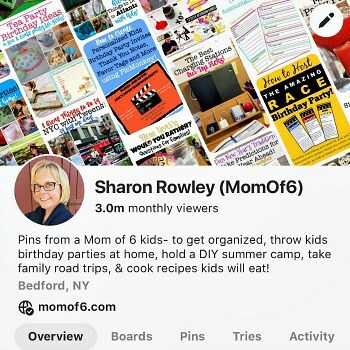 I sincerely hope that you enjoyed this “MomOf6 How-To” series and that I've inspired you to try digital scrapbooking! 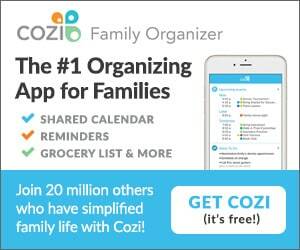 « Parenting Dilemma: Do You Drag Your Kids Along With You or Do You Leave Them Home Alone? Wow there are some really cool things you can do with digital printing. I had no idea scrap booking could be done on the computer. i will have to try it out and see how it looks in such a clean cut manner.